Is a tower located in the Special Administrative Region of the People's Republic of China. 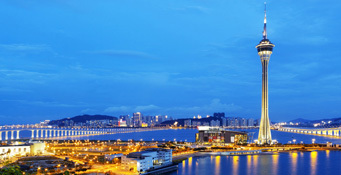 Opened on 19th December, 2001, Macau Tower is 338 meters in height. It is an elegant construction offering magnificent panoramic views all over Macao and much of the Pearl River Delta from its observation deck and revolving restaurant, at the 223-metre level. There is the opportunity to walk around the outside of the tower, for instance "Skywalk X". Besides the tower, there are a 4-floor Convention and Entertainment Centre, restaurants, cinema, a 2-level basement and an outdoor plaza. 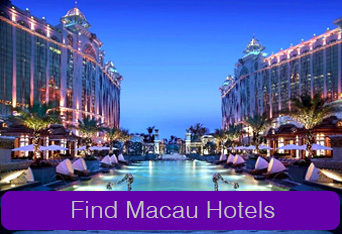 A dazzling smorgasbord of shows can now be enjoyed in entertaining Macau!